Adrienne Visani gets very little sleep. That’s the only rational explanation for her extraordinary resume. Fortunately, her body demands only five or six hours a night. Even that small concession she makes grudgingly. Visani will be wide awake at the 133rd commencement, where she will be honored as one of two Class of 2016 salutatorians. There’s a lot more to her than perfect grades. For four years, this self-driven, insatiably curious Trojan has thrown herself without reservation into campus life, community service and scientific inquiry. The result: Visani already has second-author credits on two articles published in major cognitive science journals, and a third one is forthcoming. She clocked many hours as a staff writer and copy editor at the Daily Trojan over two years. She co-founded Peaks and Professors, a popular club that takes intimate groupings of students and featured faculty on scenic hikes. She also spearheaded the resurgence of USC’s dormant Red Cross Club, expanding its range of projects and membership. But wait, there’s more. Since her sophomore year, Visani has worked in the neurogenetics lab of Alzheimer’s researcher Terrence Town on the Health Sciences Campus. Before that she worked for psychology Professor Ernest Greene. She went through the rigorous Thematic Option honors core program. 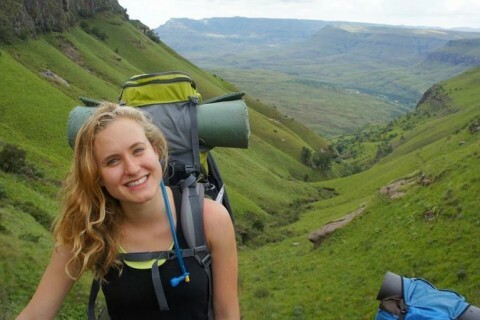 As a junior, she spent a semester in South Africa. As a senior, she was one of two supplemental instruction leaders helming weekly peer-led review sessions and exam prep in molecular biology and biochemistry courses. In her spare time — what spare time? — she volunteered at the USC Norris Cancer Center and at a women’s homeless shelter on Skid Row. She also played four years of intramural volleyball. Even so, Visani longed to do more. Pressed to chart a course that would see her graduate in four years, Visani settled on neuroscience. The decision traces back to a lecture she heard during her Explore USC visit. 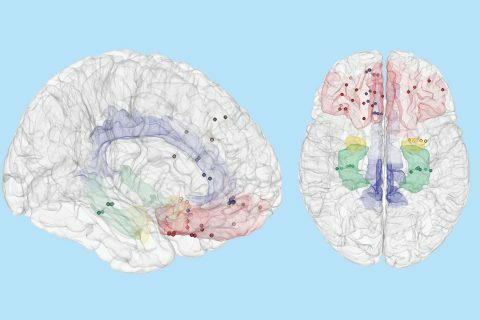 Neuroscientist William McClure spoke about his research into schizophrenia, a topic Visani was already deeply interested in, having seen the disease’s blighting impact on her cousin. A high number of people with schizophrenia, McClure explained in his talk, are born in March. Why should that be? His team had linked the anomaly to flu season. 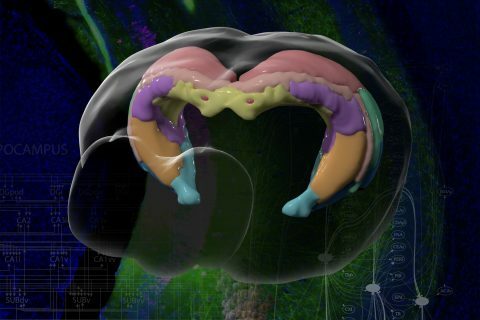 For women in the second trimester of pregnancy — a crucial time for rapid fetal neuronal development — catching the flu, it turns out, significantly increases the chance of their baby someday developing schizophrenia. Flu season peaks in December, hence the connection between schizophrenia and March birthdays. The fact that mental illness is grounded in something that’s molecular is why I wanted to learn more about the brain. Restricting herself to a single major while getting straight A’s hasn’t stopped Visani from vigorously pursuing her many other interests. She had been editor-in-chief of her high school newspaper, so covering Greek life and USC Village for the Daily Trojan wasn’t a stretch. A hard-core volleyball player all through middle- and high school, she took up intramural volleyball to stay fit. Peaks and Professors combined her desire to personally connect with professors and her passion for hiking — something she missed intensely living in Los Angeles. Last month, the club was named 2016 Student Organization of the Year. Reviving USC’s Red Cross club proved to be Visani’s most challenging extracurricular task. The club had fizzled when she joined as a freshman. Over four years, two of them as club president, Visani pumped up participation in campus blood drives. She also launched projects rooted in lesser-known Red Cross priorities: offering low-cost CPR training, hosting a speaker series on human rights issues and training students to work on Red Cross Disaster Action Teams that respond in the immediate aftermath of house fires with aid for distressed evacuees, such as fresh groceries or cash cards, assistance filling out insurance forms, and help in boarding up burned homes. Even during her semester abroad, Visani didn’t slow down. After classes at the University of Cape Town, she would catch a bus for Khayelitsha township and spend the afternoon working at a free health clinic or coaching a high school debate club. Visani will spend her summer studying for the MCAT. She plans to apply to medical schools the following year, but first, she wants to try her hand at working in the real world. She’s currently job-hunting in health care consulting and management. As usual, she’s interested in everything. “I want to spend my career at the very heart of biomedical science — the molecular cellular side of health care, because I love it,” she said. But she’s also intrigued by its business and policy sides, the use of data analytics for better health outcomes. Or maybe medical director at a nongovermental organization. Or academic medicine. Or clinical psychiatry. “I’m trying to keep an open mind,” she said sheepishly. Wherever life leads her, it’s a safe bet Visani will be doing many other things on the side, and getting little sleep. 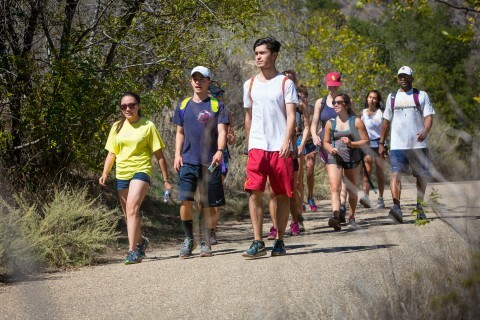 Peaks and Professors, a club run by students, allows enthusiastic participants to take a hike. 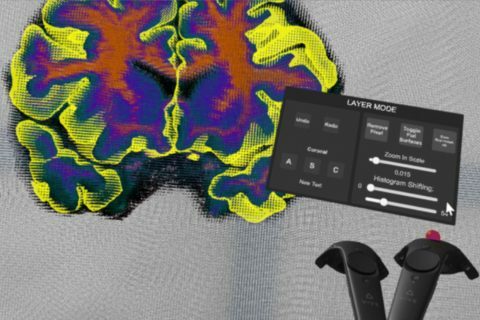 The Virtual Brain Segmenter turns a tedious step in the scientific process into an immersive experience.